At first I wasn’t motivated with this piece because I couldn’t see the final product. It wasn’t until after most of the layers were put in that I finally saw that it was turning out how I wanted it to. But I didn’t have the patience at first. It took my art teacher to help with that. She kept telling me that “it’s just a base layer” and that you have to keep finding the right shades and texture. Towards the end, I took more time on it because it was actually turning out good and I was getting more realistic textures and shades. 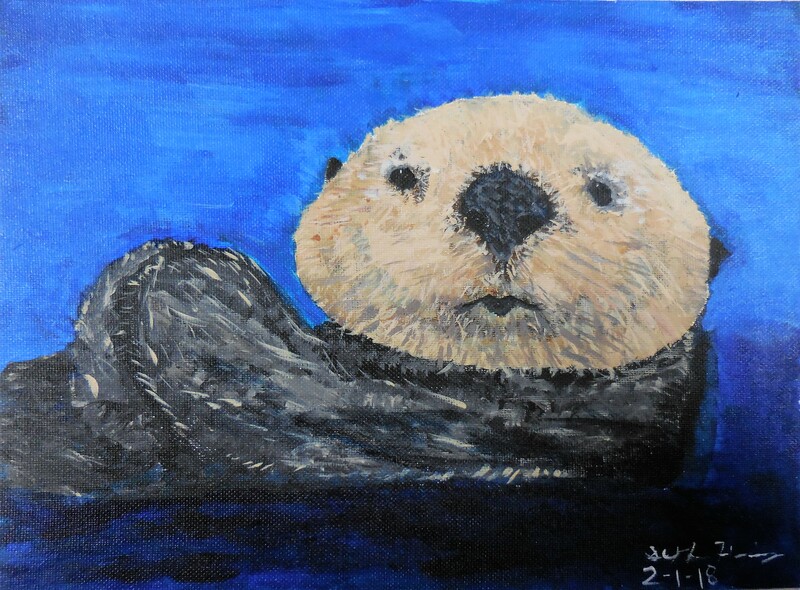 I chose to draw a sea otter because they remind me of the ocean. They have unique features and qualities. I am happy with the final product and I found that it takes patience to get where you want to go.